Today we are looking at some of the providers of mineral processing solutions for the mining industry. 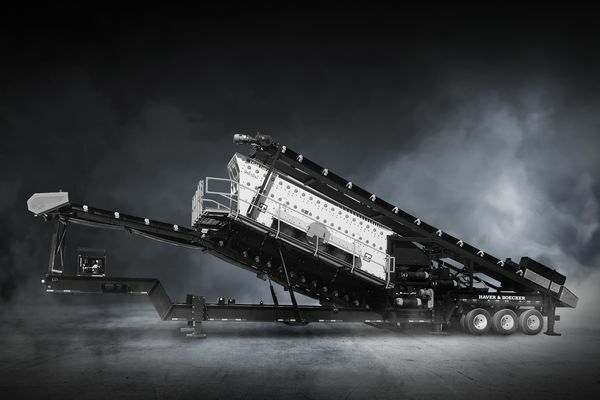 FLSmidth is launching a cone crusher with a user-focused advanced control system that will enable increased productivity through leveraging digital technology. The control system enables remote condition monitoring through the new FLSmidth Cloud (a virtual storage space, where data is structured so that it is easy to retrieve and use), coupled with a new generation of the FLS MyPlant App. This provides plant management with the ability to remotely monitor the performance and health of their cone crusher. In addition, the advanced control system is designed to be able to automate the operation of the cone crusher by optimising the close side setting through either power-based analytics or by analysing the particle size to deliver improved quality and consistency at the crusher output. Responding to customer needs, FLSmidth recently launched a mill liner solution based on extensive data on mill operations, shutdowns and wear profiles. The new lightweight composite liners are designed to increase the throughput of semi-autogenous (SAG) mills and substantially increase the wear life of liners. With lighter weight mill liners, installation is faster and safer, as each liner is easier to manipulate. There are also fewer parts, and hence fewer movements are required to perform a reline resulting in a significant decrease in scheduled downtime. The composite nature of the liner reduces its weight by almost 50%, allowing the plant to also increase its ball charge level without increasing the total weight of the mill. 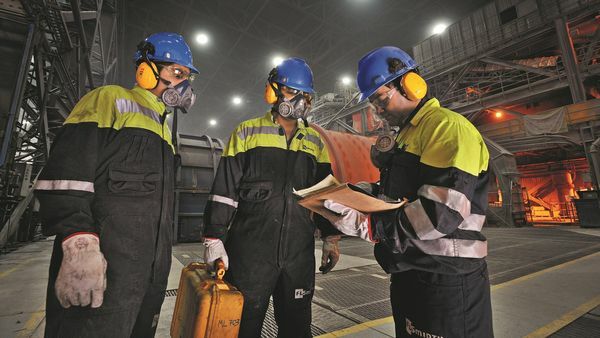 Condition monitoring, the proactive process of evaluating equipment health, is increasingly being adopted in the mining industry. An example of one, already available tool in this area is SmartCyclone. This hydrocyclone condition-monitoring and process-optimisation system includes wireless wear detection and roping detection sensors, combined with process sensors such as cyclone feed pressure and valve status. Haver & Boecker will be introducing its new worldwide processing technology brand called Haver & Boecker Niagara at Bauma. Applicable to a range of industries, including mining and minerals, the new entity is dedicated to screening, washing and pelletising systems, as well as engineered screening media, high vibration wire screens, woven wire cloth and particle analysis. Peter Grotjohann, Haver Niagara managing director, notes that the mining markets are generally driven by the need of the growing population for raw materials: "Whereas the energy sector is under pressure of environmental sustainability, the industrial minerals industry needs to supply base minerals for the rapidly growing demand for fertiliser. The change of transportation systems from fossil fuels towards electro-mobility creates needs for technologies for mining and processing of rare-earth elements." Seal and Adams packaging technology. 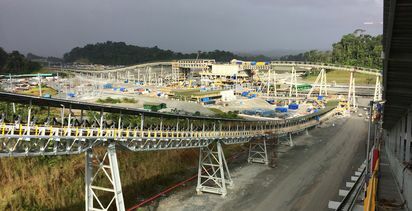 Mineral processing giant Metso said it is introducing a number of new solutions for the aggregate, construction, and mining industries in conjunction with its distributor Fischer-Jung. "Metso continues to invest in the development of solutions for aggregates and mining segments and we are extremely excited to be able to launch these latest innovations at Bauma," said Olli-Pekka Oksanen, vice president, West Europe market area at Metso. "Many of the developments we are showcasing at Bauma are based on our customers' feedback on product capabilities and their business requirements. These solutions help our customers to improve the performance of existing operations and to control cost per tonne." 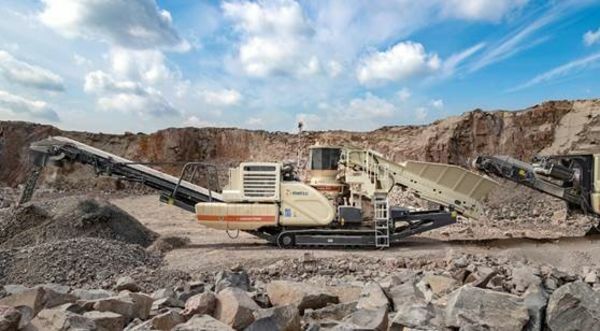 Along with the new crushing and screening solutions, Metso will unveil what it describes as "a groundbreaking innovation for off-highway trucks" which will enable mines and quarries to haul more with less. This product launch will expand Metso's offering into completely new territory and help customers reach a higher payload while lowering their operating costs. 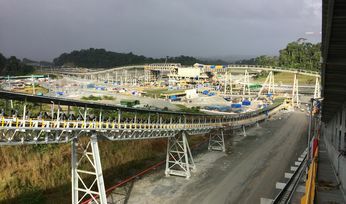 Telsmith, a manufacturer of mineral processing equipment, will exhibit at Bauma in conjunction with Astec Aggregates and Mining Group. 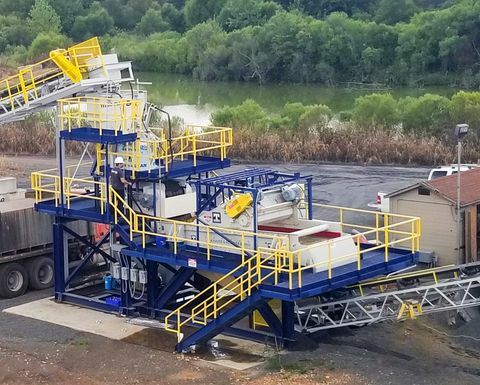 Telsmith will display its Hydra-Jaw H2238 jaw crusher model that offers throughput capacities from 100-155stph (91-141 metric tonnes per hour) through 220-370stph, which is ideal for processing applications, such as aggregates, mining and recycling. It is available in three configurations: stationary, track and wheeled portable plants. The H2238 is part of Telsmith's main line of Hydra-Jaw crushers. Hydra-Jaw crushers offer a toggle tensioning system that saves time and costs by eliminating the need to adjust springs when changing the setting. Quick to assemble and reliable in operation, the assembly requires no special tools or maintenance allowing for consistent reliable crushing. The core of the Telsmith hydraulic toggle system is the robust Hydra-Jaw hydraulic cylinder. Custom-built specifically for the crushing environment, the cylinder incorporates a large piston for high crushing forces and an ‘oversized' rod for stability and strength. The unique bushing and seal are designed to hold up to the rigors of constant crushing in a dusty environment to deliver long service life with minimal maintenance. 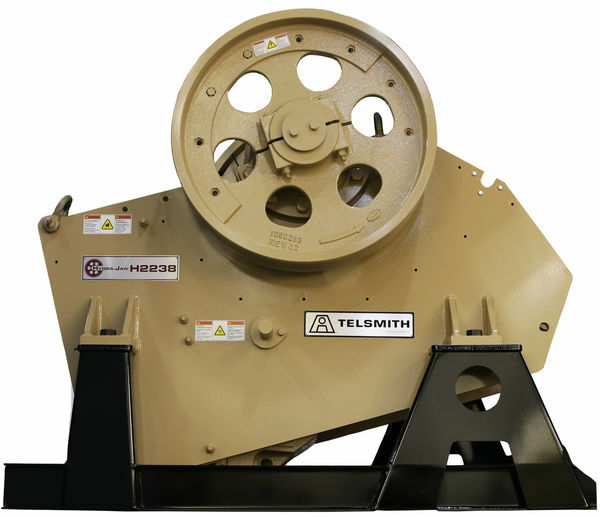 Following a power failure or emergency stop, Telsmith's hydraulic chamber clearing system allows the crusher to start up in as little as 15 minutes. Through push button controls, hydraulics crush any stone that remains in the chamber, preventing oversized material from passing onto the product belt. At Bauma, Tenova Takraf will showcase a complete overview of its entire service portfolio, which ranges from project development services to technical studies on comminution and minerals processing, fabrication solutions, various technical services and comprehensive after-sales support. 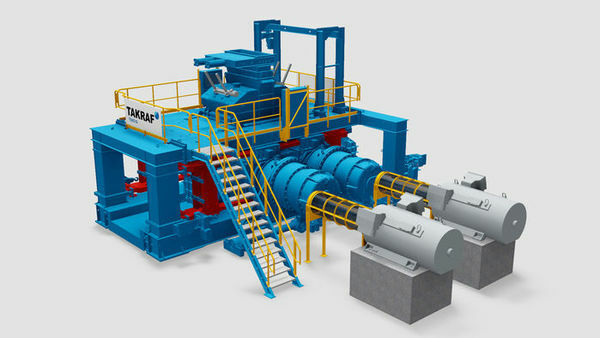 The company will display its expanded product range with high-pressure grinding rolls (HPGRs) and equipment in the field of mineral processing. A scale model of a HPGR will be on display, and the most important benefits of Takraf's sizer maintenance solutions will also be presented. 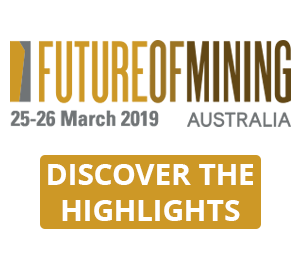 Visitors will be able to focus upon Takraf's portfolio within mineral processing, including solvent extraction (SX) and lithium recovery, as well as flotation, thickening, filtration and dry stack tailings (DST). 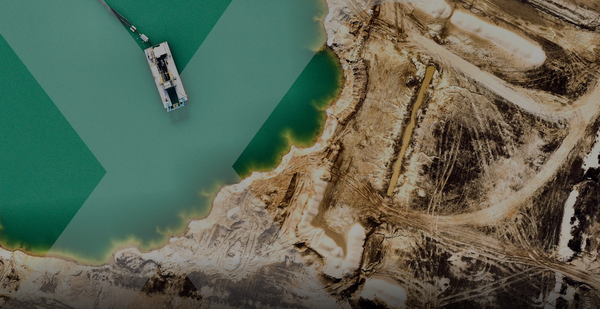 Takraf's Mining Technology Center (TMTC) will present its tailor-made studies and engineering services, together with a significant history of success, with the aim of supporting clients in making sound investment decisions. In order to provide additional benefits and services to customers based on new digital technologies, several R&D projects in the field of the Industrial Internet of Things (IIoT) are being advanced within the company. 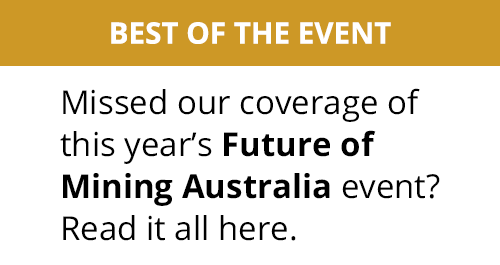 These include: first pilot machines now being equipped with remote data collection and evaluation systems; as well as remote support solutions providing on-site assistance to local commissioning and/or maintenance personnel using smart glasses and an appropriate software tool. Water technology company Xylem will be showcasing new and improved products from its portfolio of tough dewatering and flood protection pumps for the mining and construction industries. New additions to its portfolio include the latest smart dewatering pump from Godwin's Smart Series. It will be launched at the Xylem booth on Monday, April 8, at 2pm. The new Godwin Dri-Prime pump has been specifically designed to combat the toughest mining and construction applications, offering improved efficiency, increased flexibility and greater sustainability. The new dewatering pump can be equipped with a new generation of Xylem Field Smart Technology (FST), Xylem's first-in-industry cloud-based telematics platform that enables the Internet of Things (IoT) and allows Xylem's customers to monitor and control the pump from anywhere in the world. At Bauma, Xylem will also showcase upgrades to its Flygt 2201 series. The enhanced series has been specifically designed for challenging dewatering applications. The DuraSpin hydraulic of the Flygt 2201 has been proven to be three times more wear-resistant than traditional hydraulic designs, leading to improved serviceability and reduced maintenance costs. Xylem will also reveal its latest addition to the series, the Flygt Super High Head Cast Iron 2201, which has the capacity to pump up to 140m. Xylem's presence at Bauma follows the launch of Xylem's new rental identity, Xylem Rental Solutions, earlier this year. 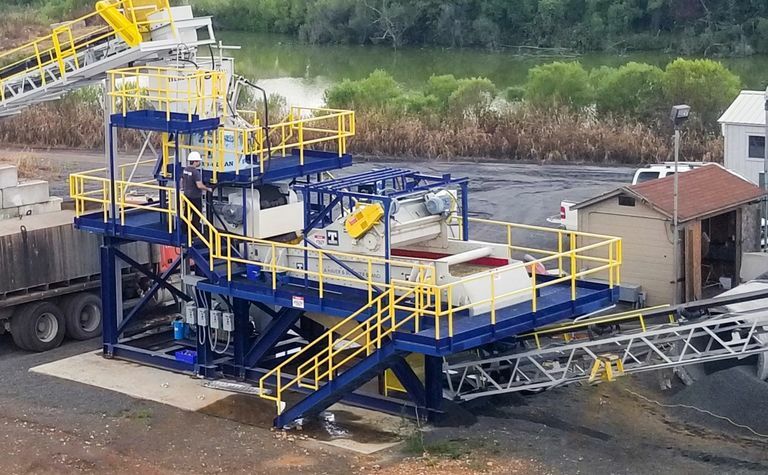 Xylem says it's the only global company operating in the dewatering and product treatment space that manufactures, rents, sells and services its equipment. Xylem has invested significantly in its European International rental footprint, creating the world's largest rental fleet of over 20,000 assets. The company also recently opened a new rental ‘SuperHub' based in Bremen, Germany.